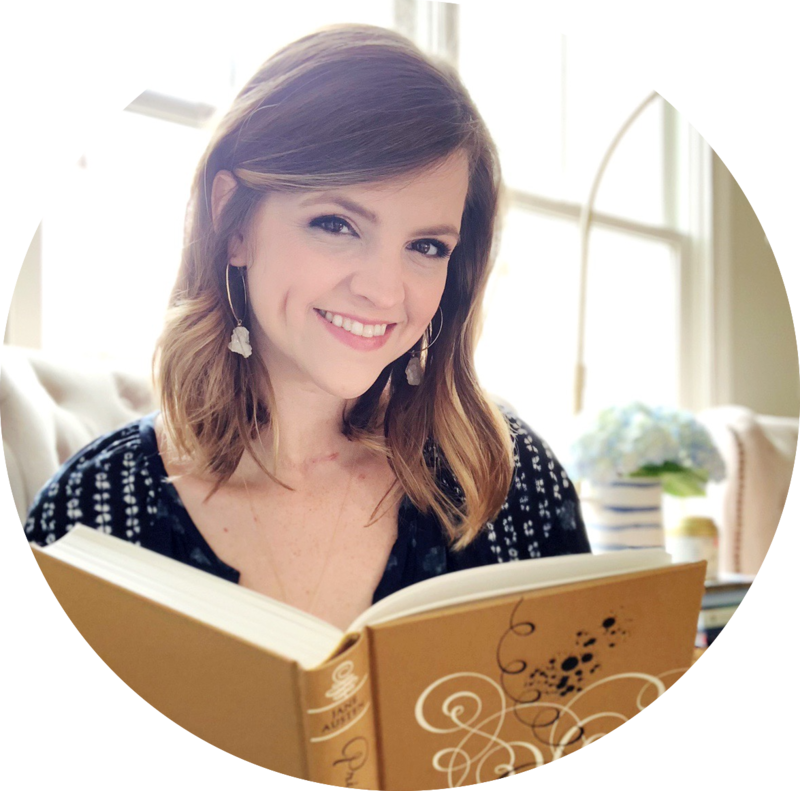 Cassie and I were chatting about our love for adult fiction, and we wanted to figure out a way to really highlight that love with a new feature. 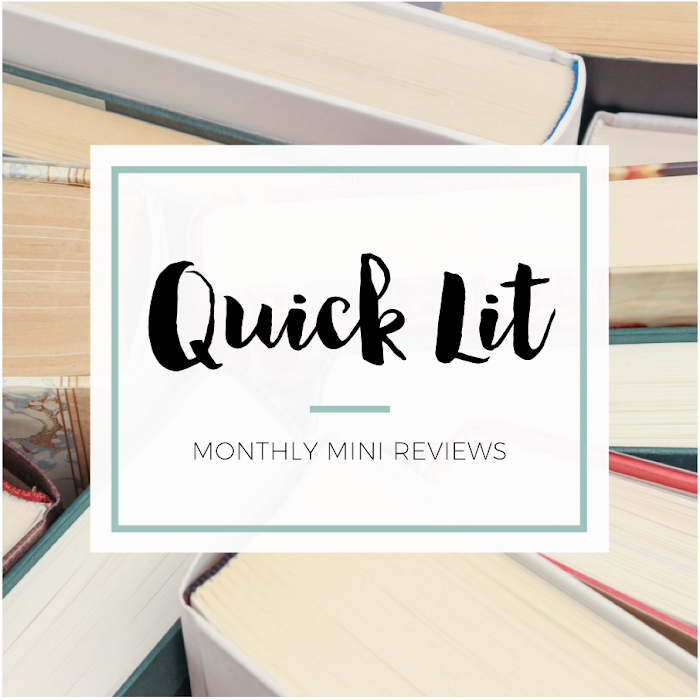 So, we're bringing you adult fiction reviews where we highlight four factors: The Frame (Setting), The Flow (Plot + Writing), The Faces (Characters) and The Feelings (Relationships). Each of our posts will highlight our own thoughts on each of the four factors, so you can see side-by-side how our opinions stack up. Then, it all culminates in The Finale where we jointly share our overall feelings on the book with a rating that helps you find out how this book factors into our favorites pile. Whistling Past the Graveyard is set in Mississippi in 1963, and Crandall did an excellent job at bringing this time period to life. Starla, the book's narrator, is just a child and isn't entirely aware of the racism and tension in the South. However, she notices certain things that bother her... and she expresses some opinions that she's clearly picked up from the adults around. Although it's difficult to read about the South during this time, I though Crandall a great job at bringing it to life. She doesn't avoid the hard things or try to make them seem less troubling. Instead, they inform most of the conflict of the novel - even when Starla doesn't realize it. I loved the voice in this book, but the writing overall and the plot became the two things that I occasionally struggled with while reading. The pacing is just a bit off in this book. Certain portions feel quite slow - making you wonder just how much time has past and focusing more on internal conflict. Other parts move really quickly and feel like they deserve a little more time. In fact, I was shocked at how fast certain things were resolved in the book. While my issues with the pacing were pretty minor, I did feel like they were heightened a bit by my problems with the plot. It felt a little too episodic at times with lots of very dramatic moments! Finally, my only other issue was how everything seemed to be resolved a bit too easily and too perfectly. In addition to the setting, I thought the characters were the strongest part of Whistling Past the Graveyard. Crandall really captures Starla's perspective and personality. She's confident, stubborn, sassy and desperate for love and adventure. I wanted to shake her a few times for being so unaware of the danger or consequences of her actions, but I did feel it was very realistic for a girl of her age. Eula, the black woman who becomes Starla's traveling character, was a fascinating character. She's been hurt by the world and sees herself as broken and weak, but it was so wonderful to see how much strength she possessed. And I was surprised by how much I ended up loving Starla's dad! I had my concerns about him, but he ended up just stealing my heart. There are a few other characters who just broke my heart in their awfulness, but I won't say who since it might spoil a few surprises. 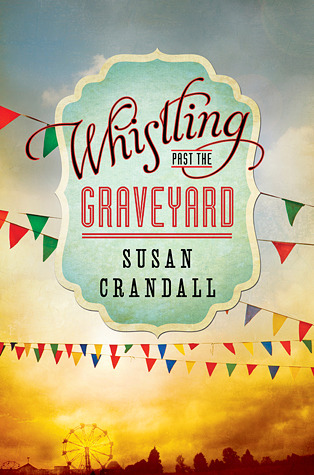 There are a number of relationships in Whistling Past the Graveyard, and I liked how Crandall explored the dynamics of each. The majority of the relationships involve Starla: with her mother, her grandmother, her father, Eula, etc. But Crandall also portrays Eula's heartbreaking relationship with her husband and her absolute love for children. The most significant relationship in the book is the one between Starla and Eula, and I felt that it really depicted a believable relationship between a young white girl and black woman during that time period. From Starla's belief that Eula had to obey her because she was black to Eula's fear that someone would see them traveling together, it was hard to read but still felt so realistic. Cass: Alright Hannah, this month we have a book we've waited FOREVER to read - Whistling Past the Graveyard. I don't know about you but I had a LOT of expectations. Did you? Me: I did! You read it at the beginning of summer, and I knew how much you enjoyed it when you read it! I was excited to finally see what all the fuss was about! And I think we both starting looking at it last year, is that right? Cassie: It is! Because well, THAT COVER! Me: Haha! Well, you loved the cover, and I was more drawn in by the summary! Cassie: I guess I'm the superficial one here ;) Haha, anyway! What was your FAVORITE aspect of Whistling Past the Graveyard? Me: I think my favorite part of Whistling Past the Graveyard was Starla's voice! Crandall really captured her perspective and her personality! What about you? Cassie: I agree! I love that she was so much so a TEN YEAR OLD. Even with the brattiness and stupidity sometimes, she was authentic. Me: YES! I kept texting you about the fact that she was driving me crazy at times AND YET it still felt so realistic and believable. And I thought Crandall did a good job of capturing what a 10 year old would have thought about some of the racial tension in the South. Cassie: Yes, for sure! Speaking of tension, and racism, my heart broke for Eula. But I LOVED HER. Me: Yes! It was so heartbreaking to see racism so clearly depicted. Cassie: It really was. Now, as much as I loved the characters - we discussed how the pacing just felt a bit off... This bothered you, yes? Me: Yes! There were certain parts that felt a little slow and like they seemed to last a long time... and then other parts resolved really quickly. I was never sure how much time had passed in the book because of it! Cassie: TOTALLY agree with that. It wasn't enough to ruin the book for me, but it DID result in me enjoying it a bit less. Sometimes, for me, pacing is more important than plot because it can make the whole book seem just awkward. Me: I agree! It certainly didn't ruin the book for me, but it made things feel a bit off at times. I think the plot highlighted the pacing, for me, because it gets a little dramatic and tense... and then meandering and more internal. Not a bad thing, but kept me from really loving the book in the end. Cassie: It happens! Ive never read a historical novel that was as "light" as this I guess I'd have to say, either if that makes any sense. Me: I actually didn't think this felt light! For me, it felt pretty emotionally heavy. Starla's voice was very light and snappy, but the events of the book were so sad and so "adult." And I say adult because Starla clearly doesn't understand everything going on around her, and it's sad to read it as an adult and know the things she's missing. Cassie: They were, but I think that Starla is what made it feel a bit light, though the issues in the book are definitely more heavy. It was bit conflicted for me. I enjoyed it though, just not a total fave. Me: Yes! I think you're right - Starla makes everything feel like because she infuses the book with this childlike enthusiasm and her stubborn spirit. Cassie: YES! So all this being said, what are you thinking for your rating Miss Hannah? Me: I think I'd say Not Quite a Favorite! And you? Me: Silver Bay by Jojo Moyes! YAY JOJO! Cassie: WOOHOOOO!! So excited to read a JoJo together! Don't forget to check out Cassie's thoughts!